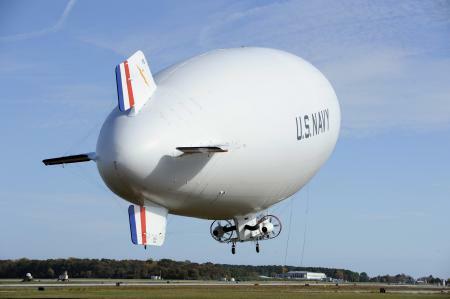 The U.S. Navy’s only manned airship, a modified American Blimp Corporation A-170 series commercial blimp, will return to the skies of Maryland Nov. 12, to conduct week-long testing of experimental avionics systems. 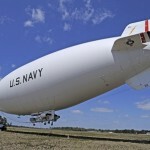 The Navy MZ-3A will be temporarily based in Frederick, Md., and in adherence to standard Federal Aviation Administration (FAA) regulations governing flights within the Washington, D.C., Flight Restriction Zone (DCA-FRZ) the airship is scheduled to fly near Beltsville, Md., and to the northeast, near the City of Baltimore. Results of this research may ultimately help protect forward deployed U.S. Army and U.S. Marine Corps troops around the globe. Owned by the U.S. Navy, the MZ-3A is stationed at Naval Air Station, Patuxent River, Md. (PAX) and is operated under the U.S. Naval Research Laboratory and Scientific Development Squadron ONE (VXS-1). The MZ-3A is government-owned and contractor-operated. 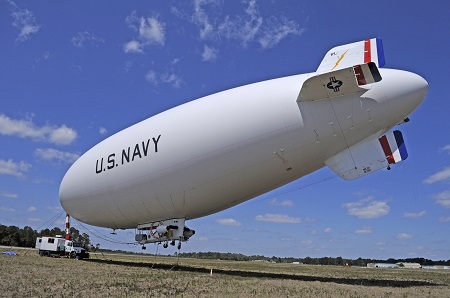 The contractor, Integrated Systems Solutions, Inc., (ISSI) employs highly qualified commercial blimp pilots whom the Navy has approved to command the airship. ISSI airship pilots have completed Special Awareness Training for the Washington, D.C. Metropolitan Area and have experience operating within the airspace. Loiter times over named regions may vary depending on weather conditions. The mission is scheduled to conclude Nov. 25, with a return flight to Naval Air Station Patuxent River in St. Mary’s County, Md. Built by American Blimp Corporation, the MZ-3A is propeller-driven by two 180 horsepower Lycoming engines producing a top speed just under 50 knots with an operational payload capability of up to 2,500 pounds. 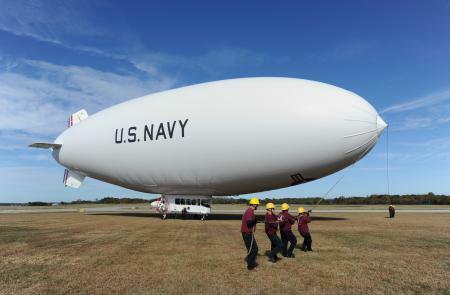 The manned 178-foot lighter-than-air (LTA) “blimp” can remain aloft and nearly stationary for more than twelve hours, performing various missions in support of technology development for Command, Control, Communications, Computers, Intelligence, Surveillance and Reconnaissance (C4ISR) concepts. Handlers prepare to launch the Navy’s MZ-3A manned airship for an orientation flight from Patuxent River, Md. The MZ-3A, assigned to Scientific Development Squadron (VXS) 1 of the Military Support Division at the Naval Research Laboratory, is an advanced flying laboratory used to evaluate affordable sensor payloads and provide support for other related science and technology projects for the naval research enterprise. 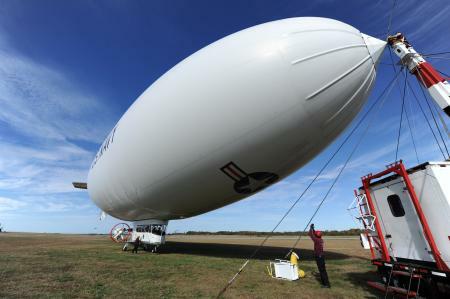 The Navy’s MZ-3A manned airship is readied for for an orientation flight from Patuxent River, Md. The Navy’s MZ-3A manned airship conducts an orientation flight from Patuxent River, Md. The Navy’s MZ-3A manned airship lifts off for an orientation flight from Patuxent River, Md. 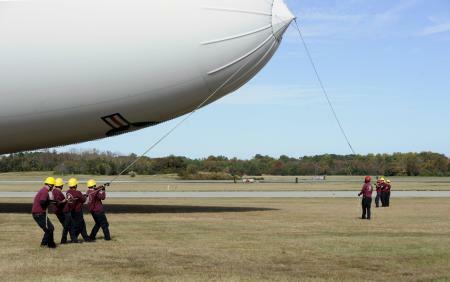 Handlers prepare to launch the Navy’s MZ-3A manned airship for an orientation flight from Patuxent River, Md. This entry was posted in Airships, Blimps and tagged American Blimp Corporation, Inc., Integrated Systems Solutions, U.S. 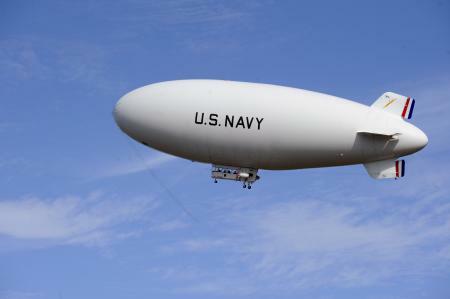 Naval Research Laboratory, U.S. Navy blimp. Bookmark the permalink.